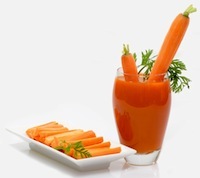 Liquid Diets (or Juice Fasting) are used for a number of reasons – including detox and weight loss. A liquid diet consists of juices, shakes, soups, or any other non-solid food replacing every meal. Nutritionally these diets are usually lacking essential macronutrients and are low in calories. However, vegetable and fruit based liquid diets will be rich in vitamins and minerals and cancer-fighting phytochemicals. Liquid diets can also be used by people who can’t chew solid food because of medical reasons. Liquid Diet for Weight Loss? Liquid diets can promote weight loss because they are usually very low in calories. However, usually the weight is regained after the diet because dieters return to their old eating habits. A Juice Fast is used more for detoxifying purposes and should not be used as a weight loss technique because your body could actually be breaking down muscle tissue because of the lack of protein in juices. It is better to eat the fruit and vegetables whole and therefore gain the fiber, which lowers fruit’s glycemic index and is more beneficial to the body. There are medically supervised diet plans that have a large liquid component and rely on Meal Replacement Products (or MRP’s). This is a general term describing products that have a full range of nutrients in them. Most of these are in powder form and when mixed with water or milk provide a liquid-based meal. Medifast: A couple meals a day are replaced with nutritionally formulated shakes. Optifast: 12 weeks on their all liquid diet and then they gradually transition dieters to solid foods. Generally these (expensive) programs will cause quick weight loss – but they are not sustainable as a lifestyle and are designed for people with more than 50 pounds to lose. It may be beneficial to include vegetable and fruit juices in your diet – but not as a complete replacement of solid food for extended periods of time. Can improve complexion and skin health. Juices are high in vitamins and antioxidants. The Jump Start Juicer System is a popular juice fast diet used by many. A number of people use a tonic or juice supplement in their diet to provide essential vitamins and minerals, but there isn’t scientific evidence that these products are worth the money. You should not go beyond a one day juice fast without first consulting your doctor. Using a high powered blender to make smoothies is a better option for liquid diets than just using fruit juices. Smoothies are made using the whole fruit or vegetable, therefore, all of the fiber and micronutrients in the fruit and vegetables are retained. There are countless fruit and vegetable combinations that can be experimented with and it can be fun developing a smoothie recipe that you like the best. Periodic juice fasting and liquid diets can be beneficial for use during short periods of time or for those that can’t chew solid food. However, because they can be both nutritionally and calorie deficient, care should be used when starting one. A better approach would be to remove processed foods from the diet and consume one fruit and vegetable smoothie a day, in addition to portion controlled meals that are mainly vegetable based. I’ve just started this diet to lose about 10 pounds but I’m worried. Everyone is saying how you’ll just gain all of the weight back on as soon as you start eating again. What I was wondering was what if you exercised during and after the diet. Would that stop you from gaining weight in fat? @Danielle, That would help as well as cutting back your portion sizes/calorie intake after the fast. Just be careful doing too much exercise on the fast because of the very low calorie intake. Honestly I’ve been in cheerleading since i was 3 years old i am 19 years old now. I stopped cheering and dancing at 18yrs. I have always done competitive cheer i have done school cheer for a year and i was in 8th grade. But anyways i don’t know who’s telling you that you need to lose weight but they are completely wrong. You are a perfect size especially for your age. And the girl Megan.. Well she doesn’t weigh enough. She weighs less then what she should be weighing. Well i hope you learn something but if not i tried. A better thing to do ask your doctor. There is nothing wrong with wanting to lose some weight for your cheerleading. Your weight does seem a little much for 8th grade, but you havent included your height so its hard to judge. I am 5’5 and am 19 years old and weigh 110 lbs. If you want to lose weight healthily (if thats a word), I would recommend counting calories. Eat lots of raw fruits and veggies, and lean protein, like skinless chicken breast for protein. Nuts are good for protein, but have more calories. and dont forget to drink LOTS of water. If I were you, i would start with about 1500 calories since you are probably fairly active. If you arent achieving weight loss, cut back to 1200 calories. Dont go any lower than 800 calories, otherwise your body goes into starvation mode and will hold on to every calorie you eat. hi, i m 70 kgs with the height 4.10′ .my age is 25.how should i loss my weight . should i follow dite, but i don’t eat a lot .it’s routine dite like others have .please suggest something i m too much depressed due to this problem. In response to annonymous, this isn’t a fad diet. It’s main purpose is detoxification. If you know what you are doing, do your research, and consult a physician you are not endangering your health or life. It is only dangerous if you do not consume need nutrition, calories, etc. (just like any other diet). It doesn’t matter if you eat or drink your nutrition. Don’t be scared into think you’ll die. Just do your research. I think that people are not smart, they are being tricked into thinking that fad diets are going to be good for them. What they should do is just exersice instead of wasting their time risking their health lifes doing fad diets that don’t give all the vitamins, minerals, and proteins for the body to survive. If you want to risk your lives intead of being lazy instead of exercing, well by all means ITS YOUR LIVES ON THE LINE. Hey, im thinking of doing this diet just to get a beach body in a couple of weeks! im thinking of juice, such as orange juice, apple juice and cranberry juice (but what about my teeth?) also… the only things im planning on eating are celery, carrots and bananas – what you think? help required! open to suggestions – THAT WORK!! can i take a date(khajoor,date plum) wid it . and how i long should i go for dis diet. i am 13 stones .how i will cope wid headaches. please go get some help, stop watching MTV, and read a book instead of gossip magazines. I am a 17 yr old girl, and i weigh 154lbs and i am around 170cm tall. I really want to start this diet, but i don’t want to do anything unhealthy or detremental to my health, or something that slows down my metabloism and makes me gain more when i start eating propely again. any thoughts, tips, suggestion? I really wish that I was a 106 pounds in the 8th grade, I haven’t been under a 100 pounds since 2nd or 3rd grade. You need to relax, you are perfectly fine the way you are. Don’t let anyone tell you otherwise. And if you know anyone that is truly overweight, encourage them to do some of the activities you are doing. Sometimes kids can be very cruel. I tried a liquid diet a few years back, the Lemonade Diet, and it was super difficult to stick to it. Needless to say I only did it for 4 days and yeah I lost weight but gained it all back once I started eating solid foods. The diet made me dizzy and weak not to mention the fact that I was starving. Honestly your better off eating healthy and excercising. I am a high school cheerleading coach. Please do not try to lose weight. You sound like you are at a very healthy weight already, especially if you are mainly muscle. The best flyers are not always the ones that weigh the least. It has more to do with technique and proper training than weight. I wish you the best!! okayy, i am a cheerleader and i need a healthy, safe way to lose weight. i weight 106 and i am in 8th grade. i am mostly all muscle..but i’m the main flyer, so i need to weigh less. i was planning on trying the liquid diet…but after rading some stuff about it, i’m sorta scared…plus, i am still growing so i need all the protein and stuff i can get. if anyone has any suggestions on losing weight, do tell 🙂 please and thank you. It sounds like you are light enough. It also sounds like you could be headed into an unhealthy mindset of always thinking you need to be lighter for some reason or another. If you love cheerleading then let it fit in with who you are and on your terms. Don’t let it conform you into who it wants you to be which is someone of a very unhealthy weight. I wish you all the best. hello everyone im thinking about starting a juice fast but i dont want to start without all the facts have any tips for me? Hello, i heard so many times about this liquid diet and i really want to try it, but so many people say that its not worth it because you just gain the weight back again when you start regular meals, please give me some feed back!! Day 3 of a juice only fast. So far I feel great. Day one was hard with lots of growling in the tummy. Now i really am not hungry. I am using organic fruit and veggie juices from Bolthouse and Odwalla these are sold at my grocery store. Most articles I have read on juice fast says to use fresh juices but I KNOW that I wouldn’t be able to afford a $300 juicer so I am trying it this way. I drink a large glass of green goodness in the morning with some liquid vitamins and then throughout the day drink whenever I am hungry. I also have some green or roibos tea and water. The hardest part has been preparing food for my family and then sitting with them at the table with nothing to eat. I may add broth tomorrow and then fresh fruits and veggies. I usually have low blood sugar if I don’t eat so I thought this would not work for me but so far no issues. I am wanting to start a liquid diet to try to loose a few lbs. quickly..any advice on what to drink/comsume, etc. I am a female in her late 20’s. I didn’t really get the idea behind this liquid diet, so Would anyone tell me if there are some recepies to make the juices? I bought a Jack LaLanne power juicer elite, and I am now on day 20 of my fresh juice and smart water diet I also take a multi vitamin, and have fresh fruit for breakfast. I have lost 13 lbs and I feel great.. I also drink a soy protein drink within one hour of working out, it is EAS Soy Protein 20g per serving. I have one serving of protein per day. But it says you may have up to three depending on your individual needs. It is really working for me. Oh and I also did an acai flush and detox 10 days before starting my program.. let me know what you all think..
Hi, can someone tell me if using frozen fruit will do the same as fresh?? I usually feel ill if I dont eat enough, will a liquid diet actually make you feel fuller?? Ok I fought through last night it really was not to bad, day two was much harder. I am on day four, I have drank 3 bottles of water and two green teas and two coffee cup sized cups of vegtable broth, I will have chicken broth at dinner time with my smoked oysters if my belly is giving me a super hard time…. weight is still 205, am also exercising as well about 20-30 minutes a day. I began my fiber regim today as well. So is there anybody out there? I am at day 3 of my Liquid diet, though I did have one meal today of smoked oysters. But that will be it. I am taking vitamins and will begin fiber capsules tomorrow as well. I started at the weight of 210lbs and I am at 205 now. My meals cosist of sugar free finger jello, chicken a vegatble broth (low sodium) and lots of water. I am just doing this for 7 days to jump start my diet as I will slowy introduce a low carb diet. Good luck to everyone and I will try to keep you posted. My energy level seems to be okay though my stomach is growling allot, I drink a glass of water when it growls and then I will drink broth if it does not go away. Dan, can you tell me exactly what it is that you do? Im really looking to start doing a liquid diet but I have no idea which is best, and all of them sound like ppl are going to die from them lol. But you made it seem like its not as horrible the way youre doing it. Any way you could help me out? I’m on Day 4 of a liquid diet and no cramps or extreme hunger. I have no meal times, just liquids whenever I feel like it. Two benefits I think: 1)lower total calorie intake (especially if you use diet drinks and broth which is ridiculously low in calories) and 2)quicker feeling of being full, maybe because the sugar in the liquids gets to the brain faster? Taking vitamins and Omega3 just to be on the safe side. May add some strained meat (baby food) for protein. So far so good….. I’m quite surprised at how easily this is going and my energy level is absolutely normal.